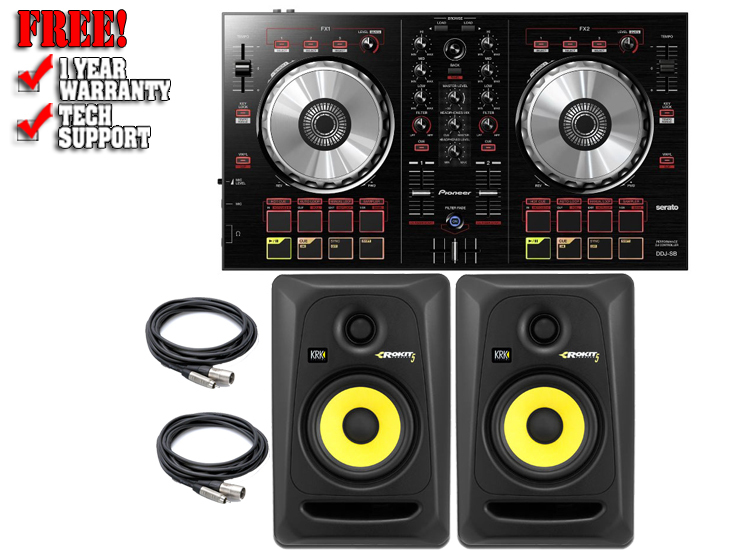 Comes with large rubber pads that allow for dynamic and energetic DJing, as well as "BIG JOG" for reliable scratching. The use of a layout with two decks on either side of the controller, and a 2-channel mixer in the center give the user an intuitive feel for the tracks being played and mixed. The "FILTER FADE" function is included which allows tracks to be mixed naturally using a cross-fader by adjusting the volume of the left and right decks, as well as the high-pass filter parameters. The high-pass filter of the left and right decks is linked with the actions of the cross-fader, and the deck volume is adjusted while applying the base filter, which allows tracks with vastly different BPMs or styles to be mixed smoothly. Control of a wide range of "Serato DJ Intro" functions, including "HOT CUE," "SAMPLER" and other effects, in addition to basic functions like scratching and mixing, make Djing all the more exciting. Every button and knob on the controller is compatible with plug-and-play that is linked with "Serato DJ Intro," which means the controller is ready for DJing by simply connecting it to a PC. DJs can also purchase the paid upgrade to Serato DJ and unlock the advanced features it has to offer, including Recording, more Cue Points, Samples and Loops – plus new advanced features including Slip Mode, new iZotope FX and FX Expansion Packs. The controller uses a larger body than other models in the same price range, and has been designed with distinctive DJ styling including the jog plate made of the same aluminum material as other premium models, and a hairline finish applied to the top surface.